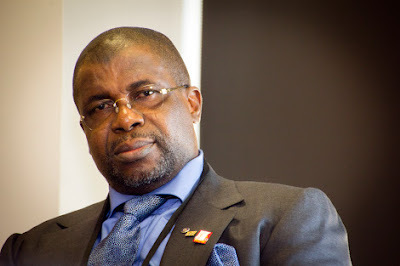 Apparently concerned about rising cases of mental disabilities among Nigerians, leading entrepreneur and philanthropist, Sir Emeka Offor, has begun a series of interventions aimed at equipping Nigerian health officials with adequate knowledge and tools to tackle the ailment. Top on the series of programmes lined up by the oil industry player and industrialist, is a mental health training and awareness programme, which has already organized a training programme in conjunction with an American group known as The Educator Incorporated, a non-profit organisation with key interest in promoting healthy individuals and family development through training, advocacy and policy formulation. The event, which took place at Sir Emeka Offor Foundation Headquarters at Oraifite, Anambra State, brought together top players in the health sector, academia and the community as well as the state. Others who took part in the programme were drawn from the police, National Drug Law Enforcement Agency, NDLEA, Medical and Nursing students, traders and community leaders and youths. Declaring the training programme open, Sir Offor said he was driven by the need to create an enduring enlightenment on the scourge of mental health so as to steer the people off the path of the ailment. The promoter of the foundation also said that he would do all within his powers to ensure that the problem of mental health was contained so that the people could live happily and contribute meaningfully to the development of their family and society.